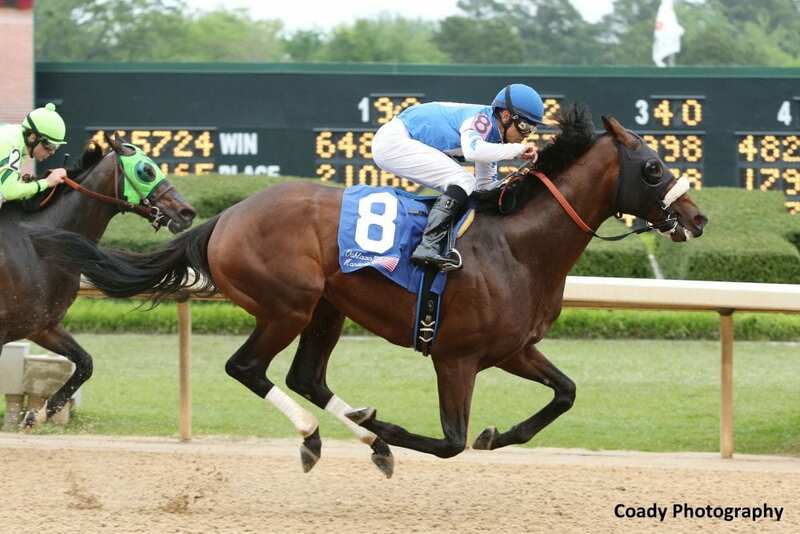 Tri-Bone Stables' Effinex redeemed himself with a win in this Saturday's 70th running of the Grade 2 Oaklawn Handicap, out-dueling Santa Anita Handicap victor Melatonin to the wire. The 5-year-old son of Mineshaft's one-length victory in Arkansas defended his loss in the Big 'Cap, which trainer Jimmy Jerkens chalked up to a case of hives the horse contracted in California. Effinex covered nine furlongs over the fast main track in 1:49.00 under veteran Mike Smith, garnering the winner's share of the $750,000 purse. As expected, Melatonin strode out to the early lead under Joe Talamo, but Blofeld and Effinex were quick to attend that pace. Rounding the first turn, Effinex was firmly ensconced in the second position, about a length off Melatonin on the outside through a first quarter in :23.48. Talamo eased his colt a bit through the second quarter, allowing Effinex to range up along the outside within a half-length to mark the fraction in :47.85 (a 24-second split). Smith never looked concerned aboard Effinex, recently crowned the New York-bred Horse of the Year in 2015. After covering the third quarter in a split-time of :24 1/5, Smith allowed Effinex to take over the lead by a head as the pair neared the top of the lane. Talamo was scrubbing hard aboard Melatonin as he straightened into the stretch, and it briefly looked as though he would mount a second challenge against Effinex. But Smith still hadn't asked his mount; throwing a single cross toward Effinex's ears, the horse jumped out to a half-length advantage. A right-handed reminder moved Effinex to a full length in front just as he crossed under the wire. Melatonin was game in finishing second, never giving up the chase for Joe Talamo. Point Piper was 2 3/4 lengths back in third, and Blofeld finished fourth. Bred in New York by Dr. Russel Cohen, Effinex was second behind Triple Crown Champion American Pharoah in last year's Breeders' Cup Classic, then closed out his 2015 campaign with a win in the Grade 1 Clark Handicap at Churchill Downs. His career record now stands at eight wins from 22 starts, with earnings of nearly $2.7 million. This entry was posted in Racing, Videos and tagged effinex, jimmy jerkens, joe talamo, melatonin, mike smith, Mineshaft, Oaklawn Handicap, oaklawn park by Paulick Report Staff. Bookmark the permalink.